The Village at West Gloucester’s aesthetic architecture is the result of intricate and thoughtful planning to create homes that are authentic for their location and environment. The buildings at The Village are uniquely New England and resonate in harmony with their surroundings. 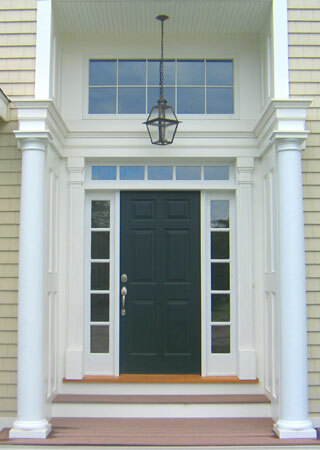 This approach is realized through the use of the finest quality building materials and craftsmanship, so that you know you are getting a home that is built to last and endure the wear and tear of New England living. Every component of your home, from the basement to the roof, has been carefully designed and installed for your ultimate safety, comfort and peace of mind, as exemplified by our list of standard quality construction features, as well as our upgrade features. Continuous exterior DuPont™ Tyvek® house wrap to increase energy efficiency and moisture control. Lennox 90% + AFUE gas furnace, central A/C, extremely quiet and extremely efficient.